VII.2.13 Pompeii. Shop with dwelling. Excavated 1843 and 1867. (Strada Stabiana 21). VII.2.13 Pompeii. May 2005. 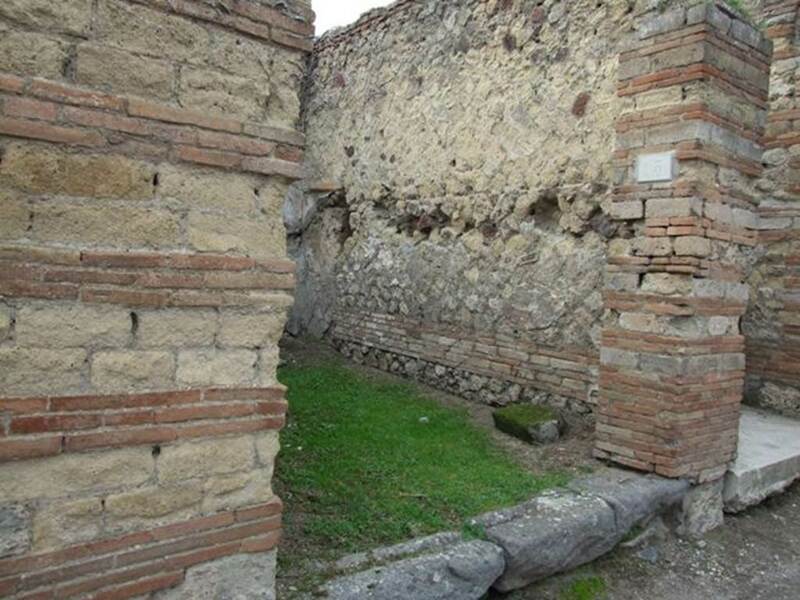 Looking west across shop from Via Stabiana. VII.2.13 Pompeii. December 2005. Entrance. 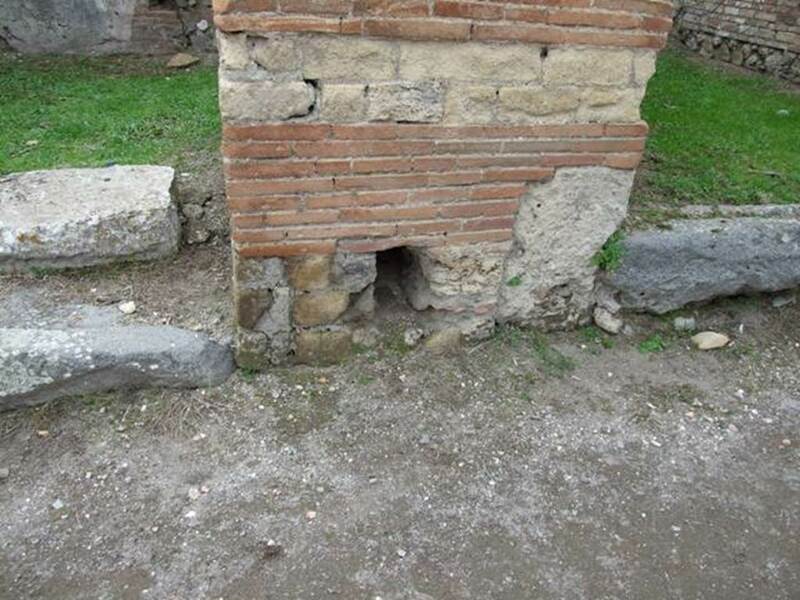 VII.2.13 Pompeii. December 2007. Entrance and north wall. VII.2.13 Pompeii. December 2007. 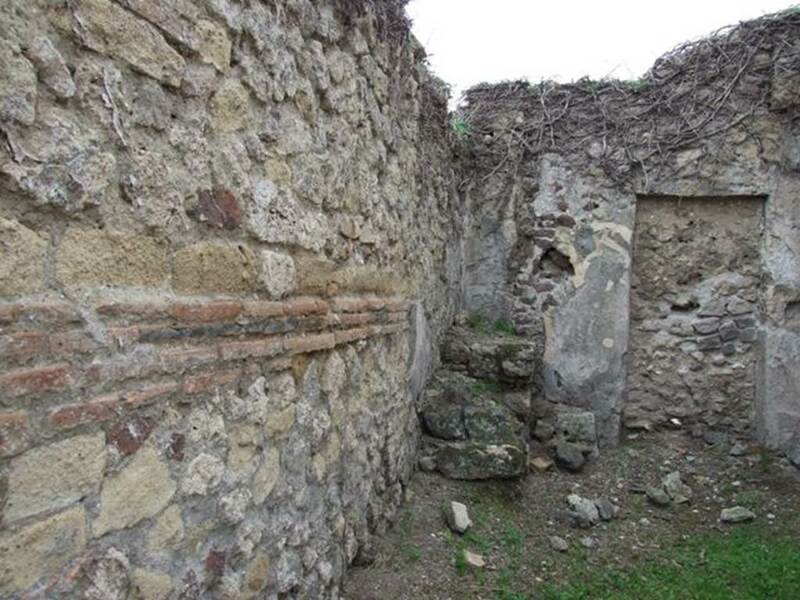 North wall, with walled up door to atrium of VII.2.14 in north-west corner. VII.2.13 Pompeii. December 2007. 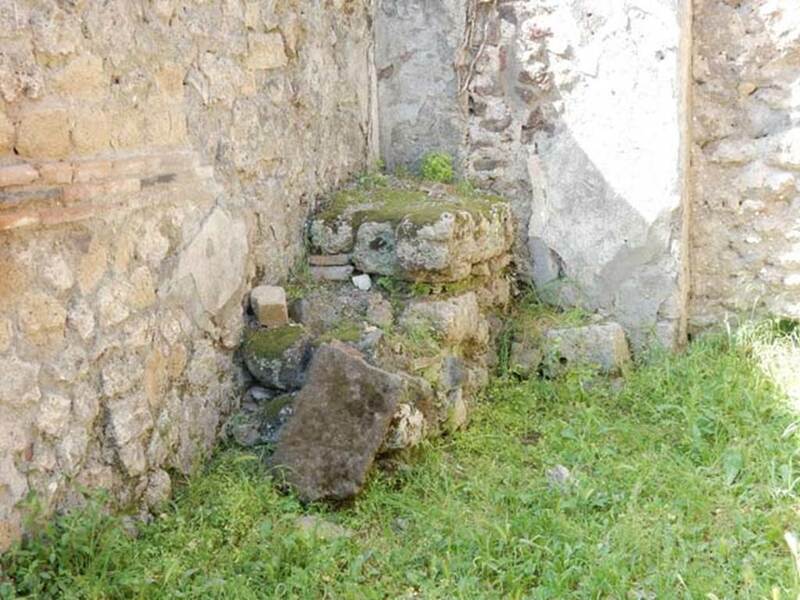 South wall with remains of staircase in the south-west corner. 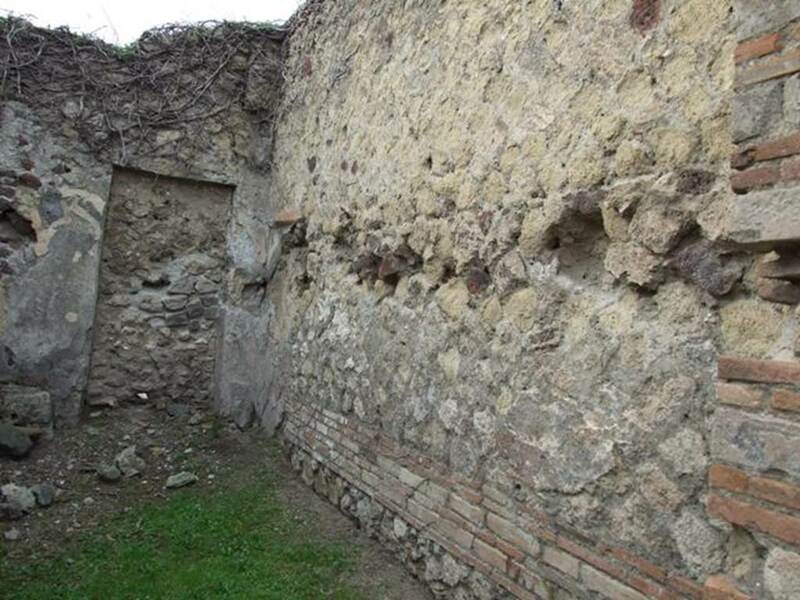 VII.2.13 Pompeii. May 2015. 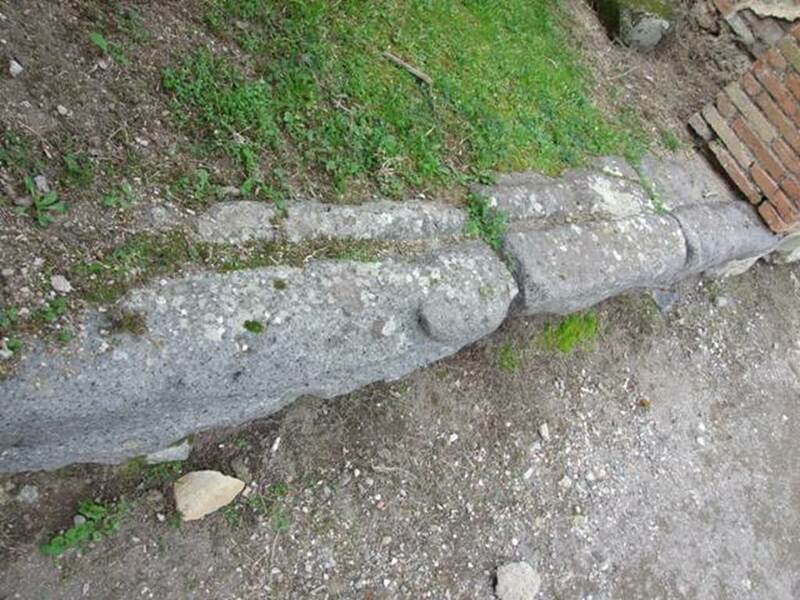 Remains of staircase in the south-west corner. Photo courtesy of Buzz Ferebee. VII.2.13 Pompeii. December 2007. 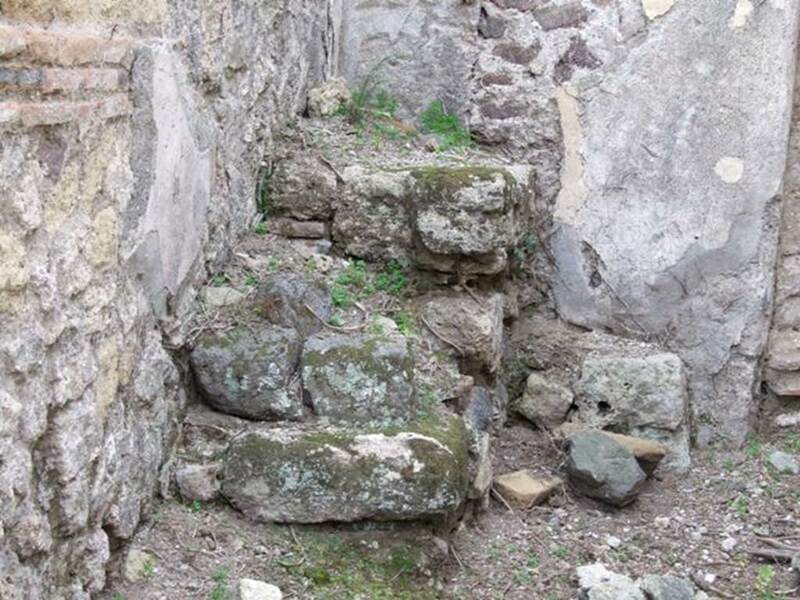 Remains of staircase in the south-west corner. VII.2.13 Pompeii. December 2007. Threshold or sill. 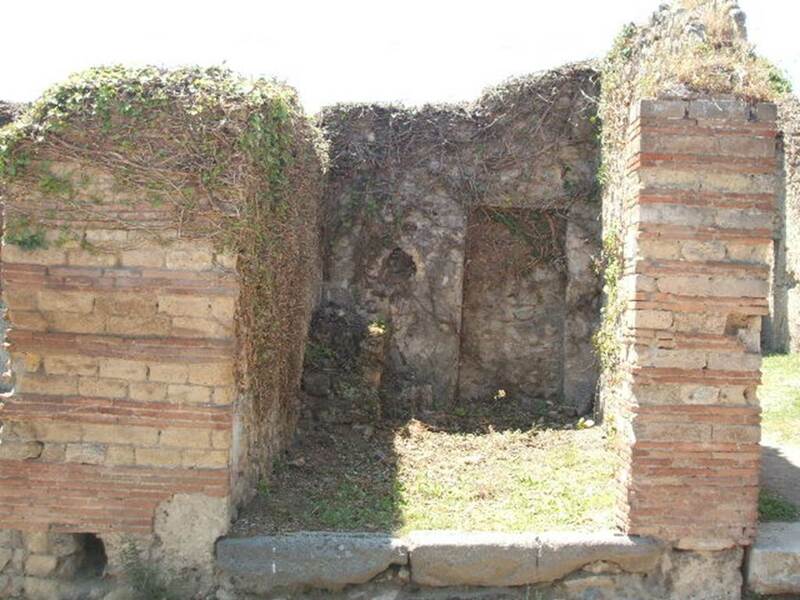 VII.2.13 Pompeii. December 2007. 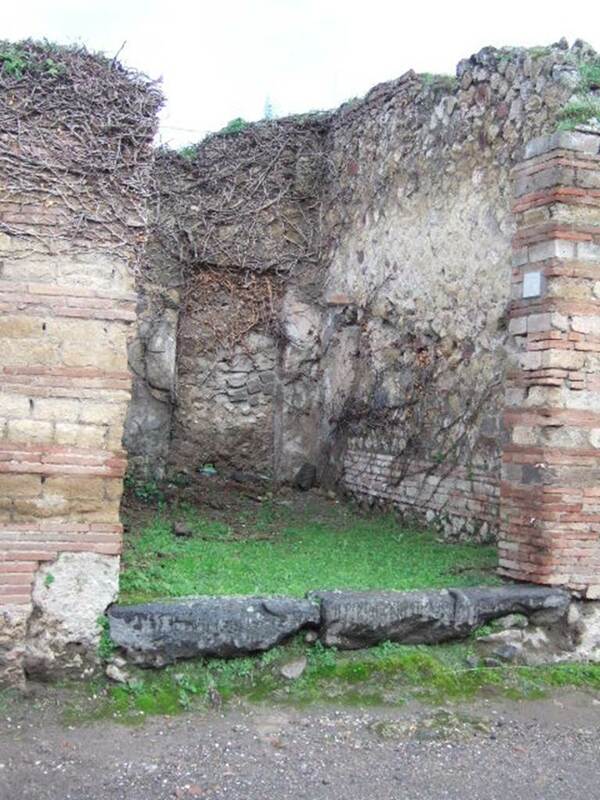 Exterior wall of pillar between VII.2.12 and VII.2.13 on Via Stabiana.